Marvel has officially snatched my wig off again after debuting a new trailer for Avengers: Infinity War. This time around the trailer is narrated by Gamora (Zoe Saldana) as she speaks of her father Thanos (Josh Brolin), and what plans he has in store for the universe. From the looks of the trailer, it seems we may receive some flashbacks of Gamora’s relationship with her father, Thanos. We are also given a closer look at the epic final stand that takes place in Wakanda. What many of us are still trying to figure out is which one of our heroes will not make it back for the next film. Most have been assuming Iron Man (Robert Downey Jr.) or Steve Rodgers (Chris Evans) will be one of the ones to go. We see Steve take on Thanos on his own in this new trailer, so will it be the end of him? Make sure you check out the official trailer and poster below! 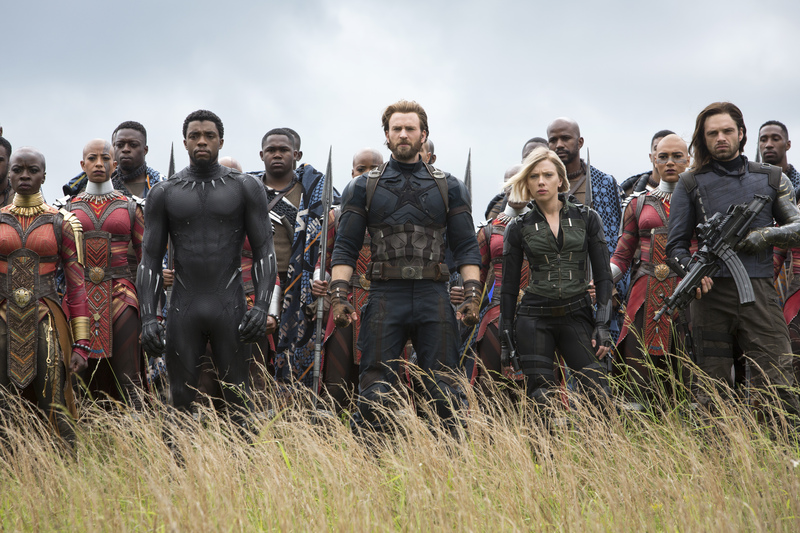 What did you think of the Avengers: Infinity War Official Trailer? Share your thoughts in the comment section below! Avengers: Infinity War hits theaters on April 27, 2018, purchase your tickets now at Fandango, so you don’t get sold out. I need to see another trailer…more information necessary. Yeah, I need to catch up on all the Marvels I haven’t seen so I can get my life for this movie! Super excited! Can I still say WAKANDA FOREVER during this though? Lol!